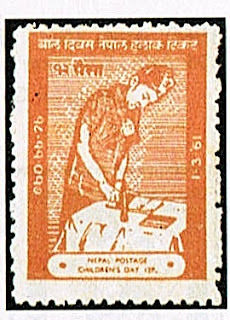 I'm initiating coverage of Nepal by recommending a rather plain typographed stamp, the 1961 Children's Day stamp, picturing Prince Gyanendra canceling stamps (Scott #134). 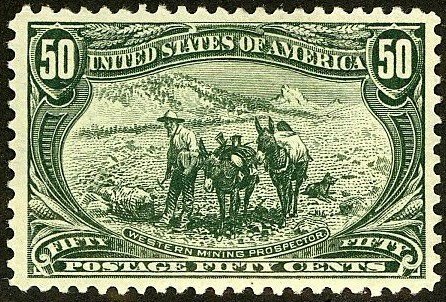 16,000 were issued, and Scott '12 prices the unused stamp at $60.00. 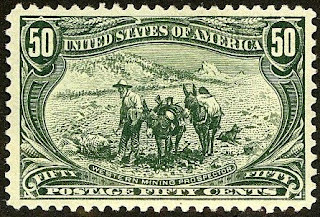 While clearly the stamp is visually boring and is of little topical interest (other than a tenuous tie-in with the UN's Universal Children's Day), its scarcity and inexpensiveness render it a low-risk bet on the economic development of Nepal, as well as the growth of interest in stamps of the British Commonwealth. Mediocre centering is endemic to this issue, so when purchasing, attempt to select examples which are F-VF or better - nicer than the one pictured here. A Himalayan nation of about 27 million, Nepal is a primarily agricultural country, and major products include tea, rice, corn, wheat, sugarcane, root crops, and milk.The spectacular landscape and diverse, exotic cultures of Nepal represent considerable potential for tourism, but growth in this industry has been stifled by recent political instability. Annual GDP growth has averaged just under 4% over the last five years. You've shared Stamps, that's really beautiful. And you've provided information about the stamp, it's really important.